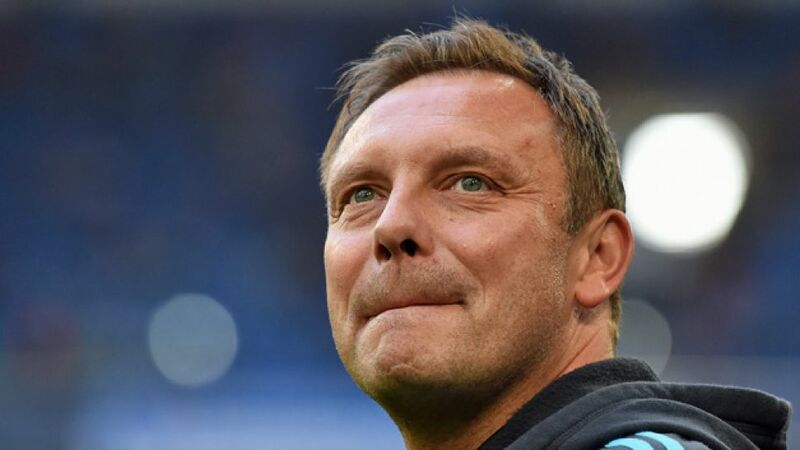 It has not taken FC Schalke 04 head coach Andre Breitenreiter long at all to get swept up in Revierderby fever. The 42-year-old tackles Borussia Dortmund tomorrow for the first time since taking the reins at Schalke in the summer, but hardly needed reminding of the significance the clash holds for both clubs at Saturday’s pre-match press conference. "Schalke against Dortmund - it’s the mother of all derbies," Breitenreiter told the assembled press with a smile. "The anticipation is growing, the excitement is taking over. I'll have a lot of friends at the game - they'll all be crossing their fingers for us. We can’t wait, we’re well prepared." The Royal Blues’ preparations have not exactly been helped by injuries to captain Benedikt Höwedes - definitely out after fracturing a hand in last weekend’s 1-1 draw with FC Ingolstadt 04 - and fellow defender Joel Matip - a major doubt due to a lower back complaint. Influential midfielder Johannes Geis, meanwhile - on target from the penalty spot in Thursday’s 1-1 draw at AC Sparta Praha in the UEFA Europa League - is serving a three-match ban. The handful of key absentees notwithstanding, Breitenreiter firmly believes Schalke are good enough to cause second-placed Dortmund problems at the SIGNAL IDUNA PARK on Sunday afternoon. "Dortmund have been consistent all season and have quick players - we’ll have to watch out for them," he warned. "We’ll need to show passion and heart and have a good game plan. We have to be brave, but we have every chance of taking something from the game."